This vacation could not have come at a better time. The last 6+ months have been tough on my family in NJ as someone I love very much has been ill, and for quite some time I was in a dark, negative space. It’s hard not to question why something so terrible could be happening and make peace with it, but it’s a continuous journey I am working through. 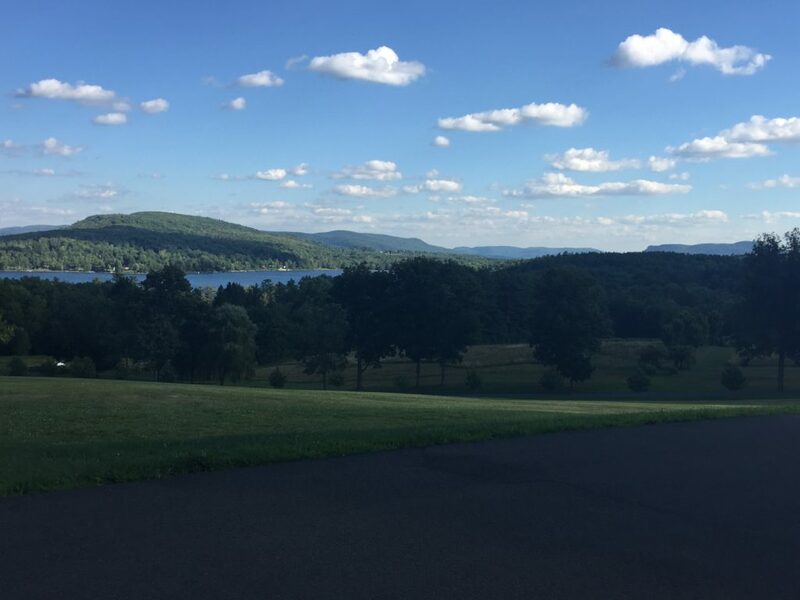 So, I was even more excited to get away from the stress of work and life to the beautiful Berkshires and really just worry about what yoga class I would go to that day! Don’t sweat the small stuff. You can’t control what happens in life, so go with the flow. For anyone that knows me, this is the antithesis of my personality. Since the age I could form thoughts and understand what worry is, I have worried about everything. Even things in the future which haven’t even happened yet. In the days leading up to my trip, I was looking at the retreat schedules online and trying to map out every single part of my day with a “To Do” list. My mind is trained to do this at work on a daily basis, which trickles into my personal life. It was only until I got there and was surrounded by a mentality of “calm” that I ended up taking my day as it came, and deciding on the fly what activities I would do. This was uncomfortable but wonderful at the same time. When I first got to Kripalu and was unpacking in my room, I realized my entire bag of toiletries I had packed was sitting on my bathroom counter in Brighton. Typically I would have freaked out, because something I had planned so meticulously was out of my control. I took a breath, Googled the nearest CVS, and drove there in my rental car. Problem solved. 2. Be kind and don’t judge someone by what you see on the outside. You never know what someone is going through. This isn’t something that was new to me – I consider myself highly empathetic (sometimes to a fault). However, being alone on a vacation opens you up to talking to strangers and meeting new friends. 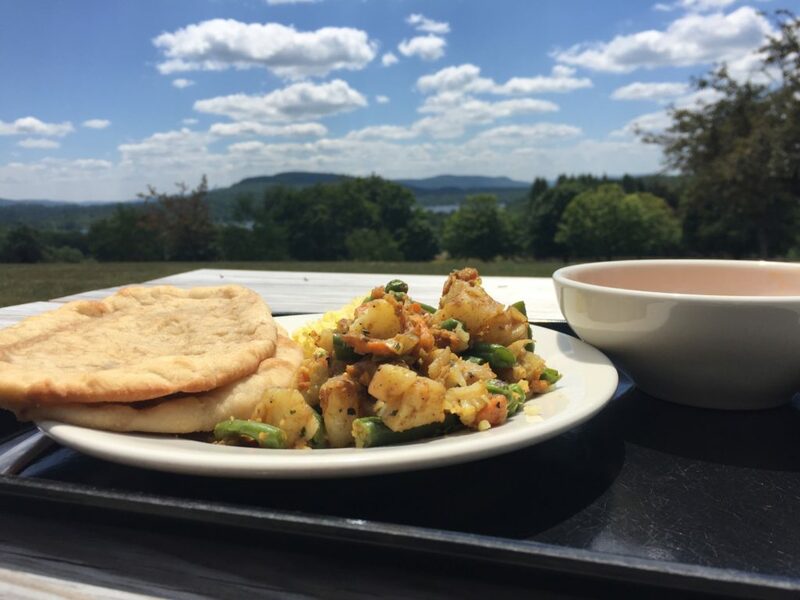 For every single meal (except one day when it was raining), I sat outside on the lawn overlooking Lake Makheenac. I mean, how could I not with this view? There were quite a few times when people would come over and ask if they could sit with me (I always said of course!). There was one interaction I had with a stranger that made me fully understand the above. A young man in his mid twenties named Tim came over and asked if he could sit down. I said yes, but from looking at him I thought he was going to be a young frat “bro” type who was going to talk about beer and partying. I also wondered to myself why he was here – what relaxation or enlightenment did he really need? After striking up a conversation, I found out that he was from the town next to where I grew up in NJ, and that he had gotten Lyme Disease 6 years ago. We bonded over Yolanda Foster’s public fight against Lyme Disease and as well as growing up in NJ, and I heard about the struggles he had faced with his health – at times he was bed ridden for months. Now I have a greater sense and understanding of the challenges that people with Lyme Disease face, and that I need to continue to empathize with others even in this sometimes scary world. This was a no brainer to me before I got to Kripalu, but it was only reinforced by the week I spent there. I’ll be digging into this more in a later blog post, but the meals there were DIVINE. The executive chef, Jeremy Rock Smith, works to ensure that the majority of ingredients used in their meals are local when possible, and organic is key. Having this beautiful, fresh, organic food at my fingertips made it easy to eat well. I noticed a few things from eating unprocessed/no packaged food for a week. I slept like a baby each night, I easily jumped out of bed every morning at 5:30 am, and the acne I had been dealing with cleared up by the time I had left. I also felt sharper mentally – when I’m back in the “city life” rat race and not eating well, I definitely feel as if I have a “fog” over my brain. 4. Nature is therapeutic. Take time to appreciate it. I am not a doctor, so if you are feeling sad, lonely, or depressed, please contact a licensed mental health professional. Spending eight days surrounded by wildflowers, mountains, lakes, etc. brought me a peace I haven’t felt in quite some time. I was excited to partake in yoga classes and some indoor events, but every second that I could, I wanted to be outside. I took a solo hike during this trip that pushed me WAY out of my comfort zone. I had never done a solo hike before, so the thought of being alone, and in the silence of nature, felt scary for me. 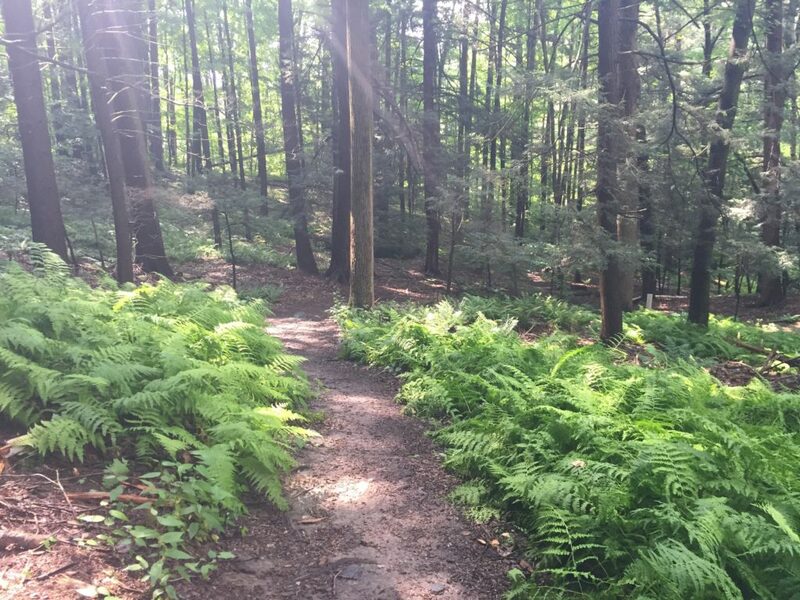 Once I got going on the trail, though, I noticed everything around me – the smell of the beautiful wildflowers, bright orange salamanders at my feet, and the magical way the sun was shining through the trees. 5. The outside world is a reflection of your internal condition. 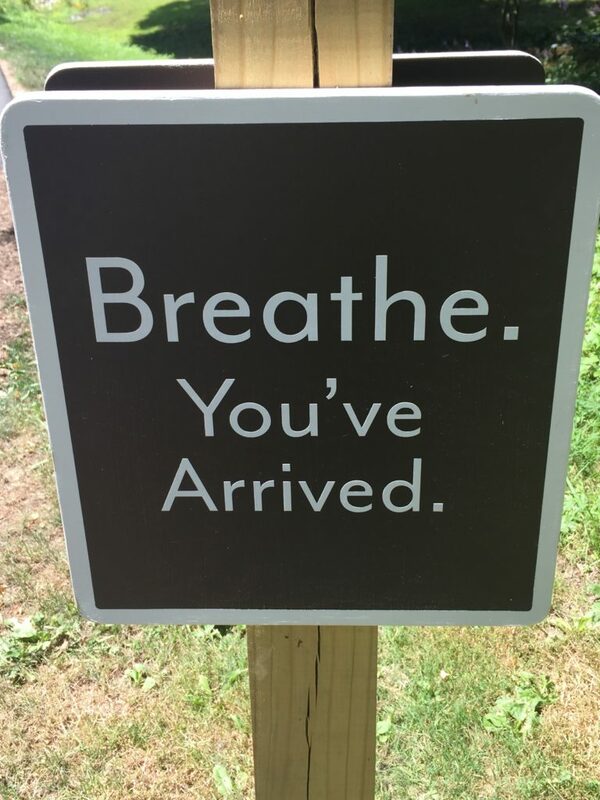 I’m really channeling Gabby Bernstein here, but throughout my different activities at Kripalu, this was the one theme I kept hearing which resonated deeply with me. When I first found out my family member was dealing with a serious health problem, I became very angry and resentful of the world internally. That manifested itself in how I was acting at work, at home, and towards others. Once I made peace with the situation and a conscious choice to think positive moving forward, my outlook towards the world has shifted. By no means is it perfect day to day – we experience quite a range of emotions throughout our day as humans. This statement has, however, brought me back to a place of positivity and peace whenever I need to remember it. I hope the things I came away with from my trip help you in some way in your life! And if you have the chance to visit Kripalu, you won’t regret it.